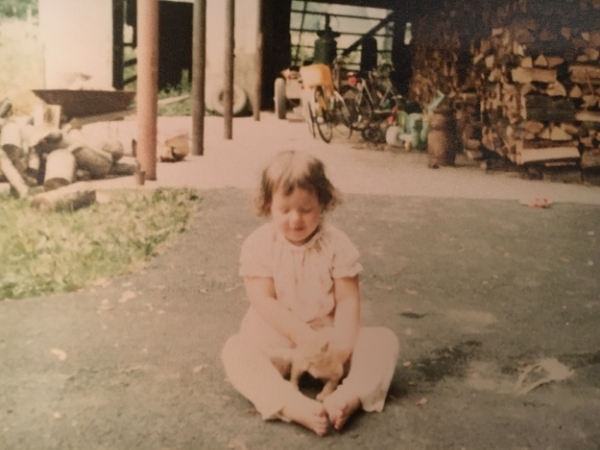 My family has lived on this farm for over 40 years. 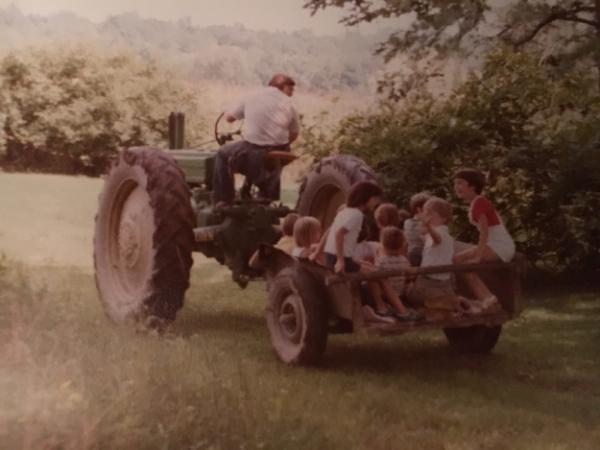 My parents started our family here, and the memories that not only my immediate family have on "The Farm", but also our extended family are so amazing. My Dad has always talked about renovating "The Barn," but it was something that always got pushed to the back burner. Since Chris and I moved here about 5 years ago we have continually talked about what to do with "The Barn." It needs so much work and the task of fixing it always seemed overwhelming. About 2 months ago through a friend we were given the name of a young Amish gentlemen named Chris, actually Christian, which is funny because that is Chris's full name and when we found out his wife's name was Rebecca, we knew that Chris was the perfect person to help us. After a lot of planning and meeting with both Chris and an architect we finalized our plans to start, however before we could officially start there was much work to be done. With a barn of this size, it becomes the place that you put everything you don't know what to do with. Feeling overwhelmed we set a date and last weekend we started the task of cleaning out the barn. We went through everything, making piles to keep, piles for goodwill and throwing most of it in the dumpster. As the morning went on, I started finding amazing hidden treasures and memories of my childhood. I found pictures of everyone in our family over the years. 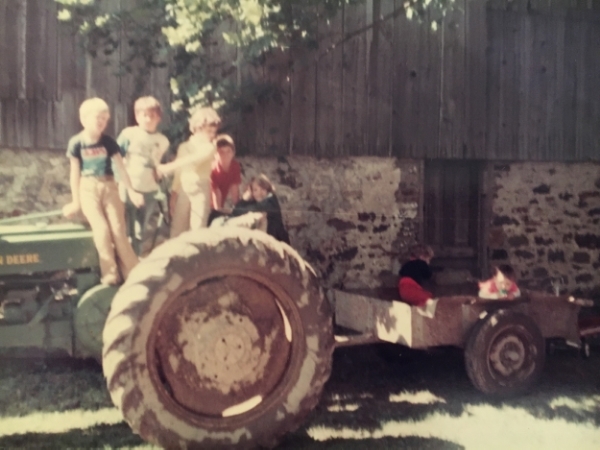 Pictures of all of us on the farm, riding on tractors and just playing outside. It was like taking a trip down memory lane from the day I was born all the way through the present. I found this great big box filled with so many different things from my childhood, but what meant the most was a bunch of old cards I must have saved that my Mom had written to me. As I started reading the cards, Chris looked over at me and tears were streaming down my face. It was so good to hear her voice again and re-read all of the amazing things she had written to me as a child. Letters she sent me at camp, letters for my birthdays, letters when I was at college. They were filled with so much love, but more importantly in every card, she reminded me to always seek God in all that I do. What a blessing those cards were to me not only when I first received them, but now years later she is still finding a way to remind me what is important in life. It's in these special moments, that I know she is an angel watching over us!! Last weekend was filled with so many emotions. Happiness, tears of joy and excitement of what is to come for the future of this barn. I can only imagine how many more memories our family will make in this barn, but we are also excited at the thought of opening our farm for others to make memories here too. We are looking forward to keeping you posted on the transformation of the barn throughout the summer and sharing in this new journey at "The Farm." "You will seek me and find me when you seek me with all of your heart."